Never been in Our store? Our latest custom framing project! 24/7 Framing Service: Your place or Ours? Now book a time that's convienent for you. Picture Hanging Service now available! We live on site, so we will ALWAYS help you out! Our storefront location at 210 Niagara St. 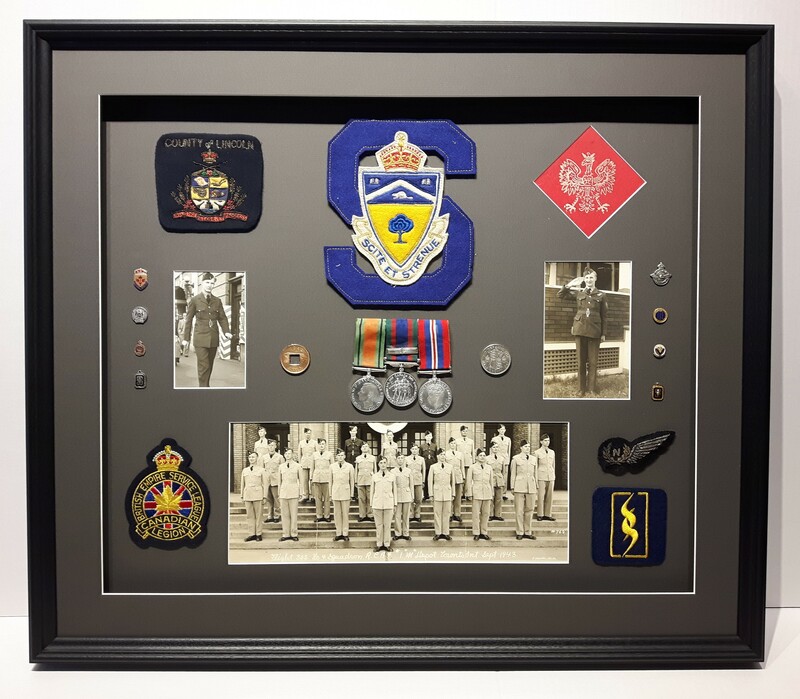 Opened in 1992 and a member of the Professional Picture Framers Association since, Ferrante Picture Framing has been recognized for offering top quality custom framing and services to the Niagara region. 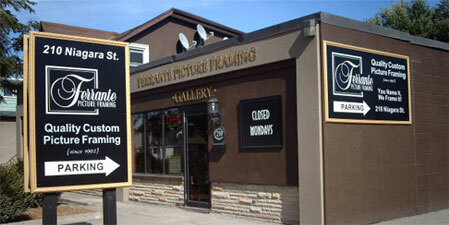 Winner of countless "Readers Choice Awards" for Best Picture Framing Store. With over 40 years of framing experience and all framing done by us, in our store, you can be assured of the best quality picture framing,service and price! Plus, most Custom Framing orders are completed within 7 days or less! We are also your source for PLAK-IT, the modern framing alternative. This dry mounting method provides permanent protection for photographs, certificates, prints, etc. Ferrante's is also an authorized dealer for the work of Ontario based artist's such as Trisha Romance, James Lumbers, George Upper Please enjoy the sample of their work featured on our site. Experience our entire selection by visiting our store location.